The VPL Heavy Duty Platform Lift allows the transportation of trolleys, beds and other objects that need extra space. It does this without difficulty with a stylish appearance. The VPL800 is suitable for both Public Access and Residential/Home environments, and is designed to the new Machinery Directive 2006/42/EC. It also meets Part M of the Building Regulations. 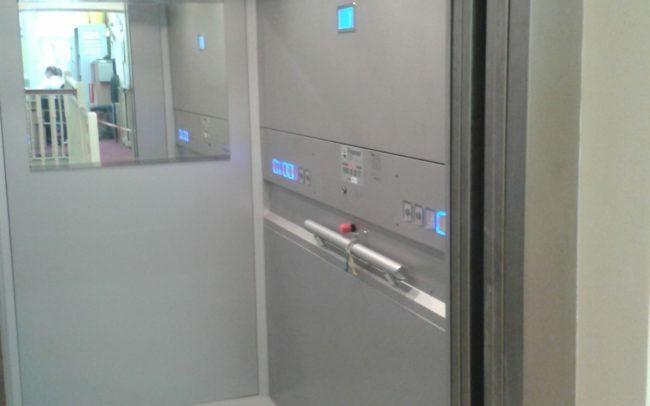 This platform lift is suitable for commercial property, it can support a maximum weight of 600KG, depending on doors and platform size. This heavy duty lift can travel up to 8.5 metres. 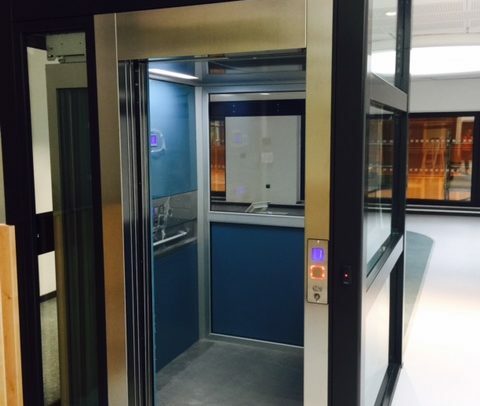 The VPL800 Platform Lift incorporates a full lift car design which gives the user the comfort and quality of a conventional passenger lift for a fraction of the cost. Due to its unique design the VPL800 allows for a platform of up to 2200mm x 1100mm, making it ideal for beds and large wheelchairs. 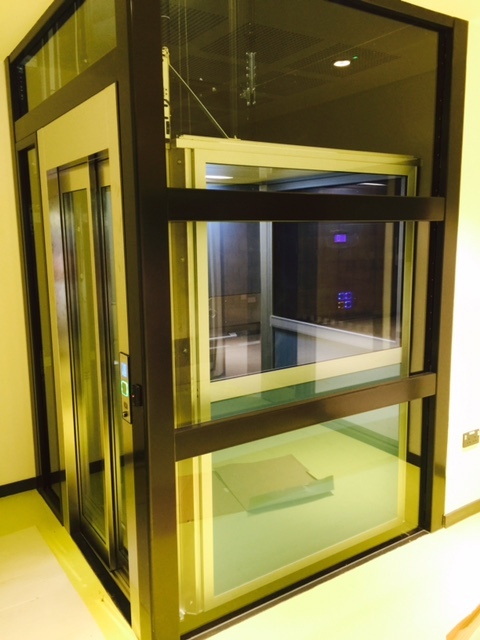 The VPL800 wheelchair Platform Lift features full 1100mm wide swing doors or telescopic sliding doors on each landing. 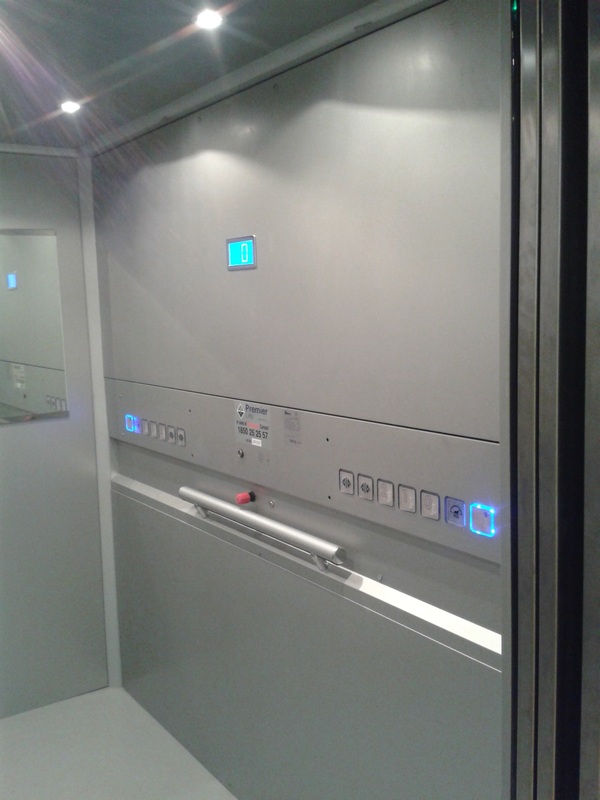 The powerful hydraulic drive system ensures that this lift easily accommodates every load. 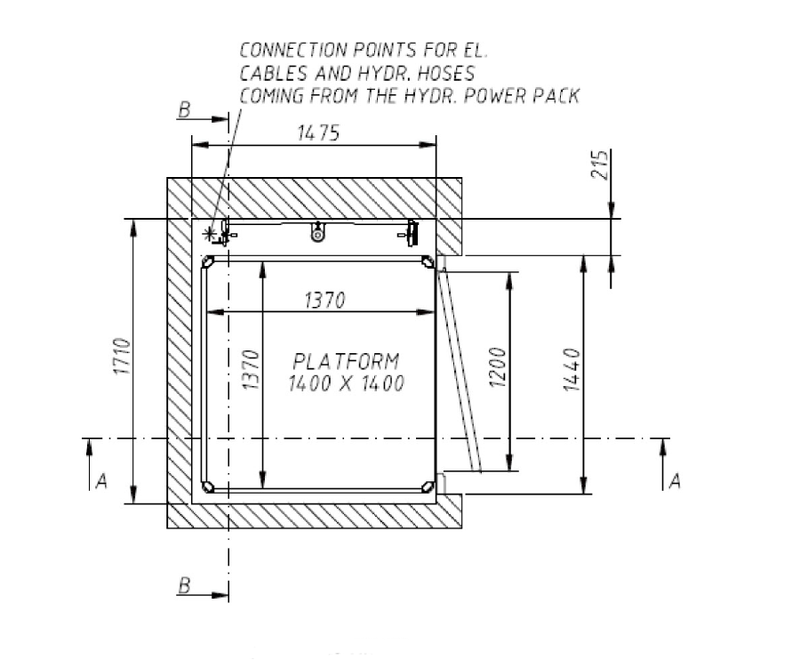 Even with such a high load capacity and platform size the VPL800 only requires a pit of 120mm. Installation is simple as building work is minimal and headroom requirements are very low. 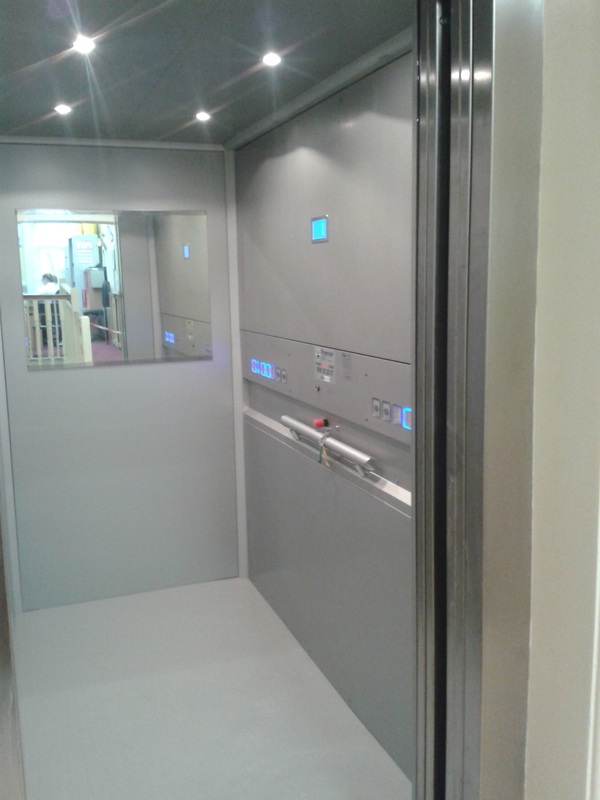 Although this is a large lift the installation usually takes only four to five days. 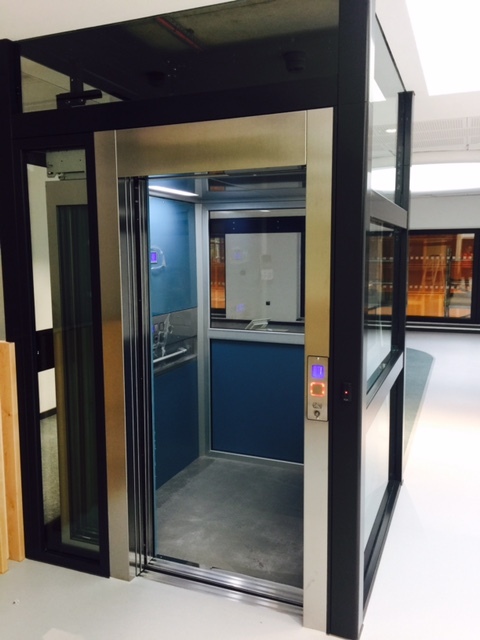 The VPL800 Heavy Duty Platform Lift can come in many custom finishes, and over 50 different configurations are possible. There is a choice of standard platform options and ultra-modern glass structures. Please see our VPL800 brochure for all the design options. 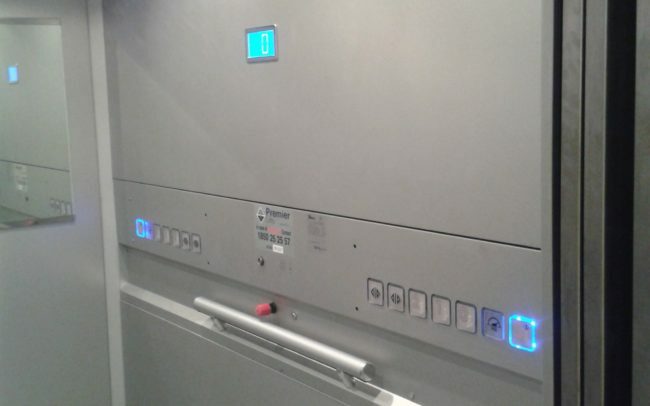 The VPL800 also meets all the latest standards. 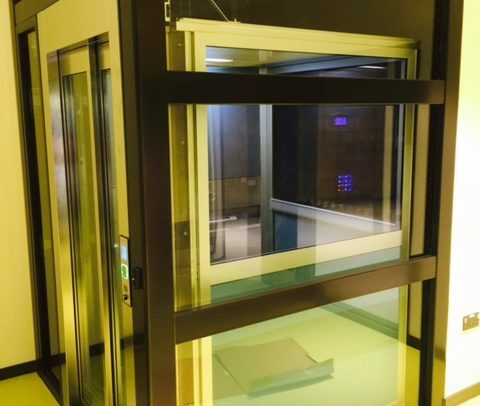 It exceeds the requirements of the Machinery Directive 2006/42/EC, Part M of the Building Regulations, the latest European EN 81:41 and is fully DDA (Disability Discrimination Act) compliant.